With more than 12,000 farm businesses employing over 30,000 people on farm we have career opportunities a plenty! Dairying is an ever changing industry; developing technologies, embracing innovation and investing in people. Use this section to explore the opportunities in New Zealand dairy farming. Just starting to learn about dairying and considering your options? Our industry needs a wide range of people, from farm assistants and scientists, to vets, accountants and many more. To learn more about the many opportunities in New Zealand’s largest export industry click here. Dairying offers some great career paths. Find out about different farm roles and how you can progress your career. If you're thinking of progressing into self-employment, consider the different types of business structure that might suit you. DairyNZ awards outstanding students with a particular interest in dairying opportunities. Progression Groups are forums for like-minded farmers, developed for those who want to enhance their skills and career options. Find out what a day in dairy farming life might look like from season to season. 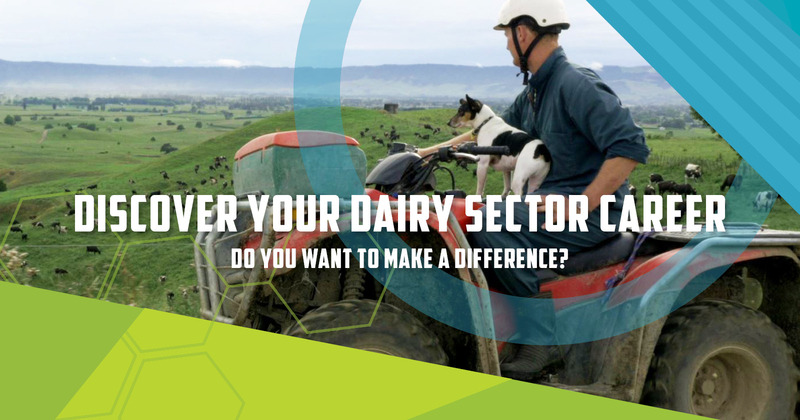 Discover your future career in dairy farming, agri-business or agri-science and it make happen! Where young people go to connect with others interested in Agriculture! PrimaryITO offers agriculture training in all aspects of dairy farming. The DairyNZ Vocational Training Excellence Awards provide support and industry recognition for talented vocational dairy trainees.